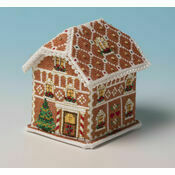 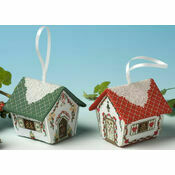 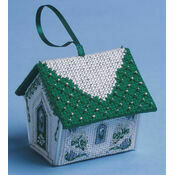 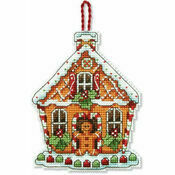 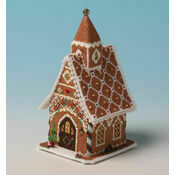 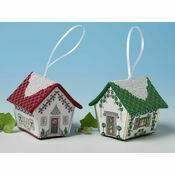 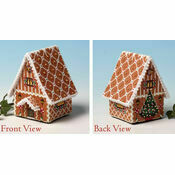 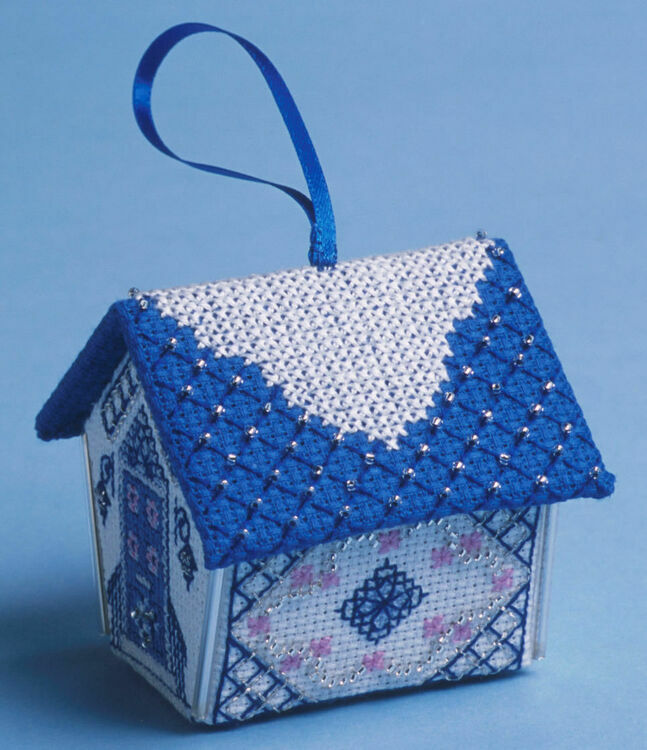 This beautiful gingerbread house 3D cross stitch kit is the perfect decorative item for Christmas. 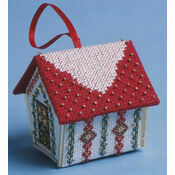 Containing dazzling metallic thread and beads, it can be used at any time of year and is the ideal gift. 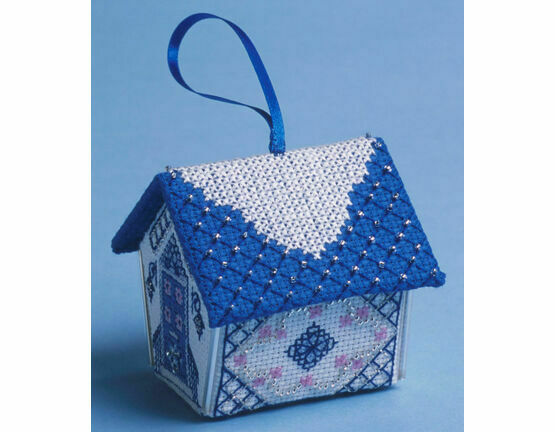 It's easier to make than it looks - work the stitching on the Aida, mount the stitching on the plastic canvas pieces, and sew the pieces together. 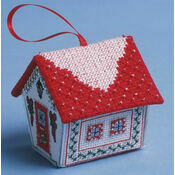 Kit Contains: Fabric, thread, pre-cut plastic canvas, beads, ribbon, felt, needle, chart and instructions. 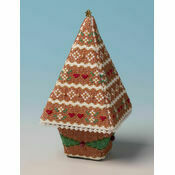 Please allow up to three weeks delivery as this specialist kit is made to order - although we aim to deliver sooner.